Google Fit has officially arrived, and with it Google's best bet at giving Apple's HealthKit a run for its money. 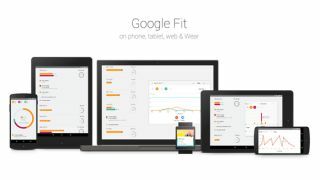 Unveiled at Google IO 2014, Google Fit is an app and platform that spans Android, Android Wear and browsers to track users' health and fitness across multiple devices. It also collects data from other fitness gadgets and apps like Strava, Withings, Runtastic, Runkeeper and Noom Coach all in one place. And now Google Fit is available in the Google Play store for Android devices with Ice Cream Sandwich and above. Google Fit uses the sensors in your various devices to track all your physical activity. "It's a great tool to discover how active you are and check in on your progress as you work on your fitness goals," Google Director of Android Product Management Sabrina Ellis wrote on the official Android Blog. She continued: "Just keep your Android phone with you and we'll make sure your activity counts - whether you're cycling up steep hills, going for a morning jog or walking the dog." Google Fit is available now from Google Play for free.